The 2017 National Fossil Day artwork depicts a primitive group of fish known as heterostracans (“different shields”). The heterostracans represent an order of early jawless fish which existed between the Early Silurian and the Late Devonian when they became extinct (approximately 358 million years ago). The heterostracans were characterized by an external covering of bony armor plates and by having only one common gill opening on each side of the head region. These early fish lacked any paired or mid-line fins and in many cases developed extensions of the armor plates that were not flexible but helped provide control in the water. Heterostracans lived in shallow marine environments around an ancient continent known as the Old Red Sandstone (ORS) Continent, which was composed of present day North America, the Canadian Arctic, and Western Europe. The primitive fish depicted in the artwork are based upon fossil specimens discovered and collected in Death Valley National Park. Paleontologist David Elliott, from Northern Arizona University, discovered these rare fossil fish in a remote locality in the park. The rocks in which the fish were preserved consist of sediments deposited in a channel, which may have been part of an estuary based on the associated marine fossils. Paleontologist David Elliott at his microscope with some fossil heterostracans. Photo of the type specimen of Panamintaspis, the larger of the fish in the 2017 NFD artwork. The locality in Death Valley was first recognized by a structural geologist, J.C. Snow, who was mapping in the Panamint Mountains and noticed some of the fossils. Snow thought that the fossils might be useful in determining an age for the rocks and contacted David Elliott for help with identifying the unusual fossils. Dr. Elliott is one of the few paleontologists in North America who studies this group of primitive fish and applied for a permit from the National Park Service to collect and study the early fossil fish. Dr. Elliott led a group of students to the park which resulted in to the collection of the heterostracans, along with some early jawed vertebrates including placoderms and acanthodians. The Death Valley fossils were compared to similar assemblages of early vertebrates preserved in channel fills in Utah, Idaho, and Nevada. The new fossils made it possible to correlate the Death Valley fossil localities with other localities across the western US. Dr. Elliott's son stands on the channel deposit that yielded the heterostracans specimens. (The base of the channel is behind him.) All the sediments are now vertical so he is standing on Devonian sediments with Silurian sediments behind him. Dr. Elliott began to study heterostracans when he was an undergraduate student and was introduced to them by one of his professors who worked on early vertebrates. The study of these early fish became the focus of his Ph.D. research, concentrating on studying and collecting new fossils from the Canadian Arctic Islands. Dr. Elliott spent two summers in the Arctic collecting material and continues to study these Arctic fossils, along with fossils from western North America, western Russia and the Baltic states. With the exception of fossil sharks, most Paleozoic fish are relatively rare fossils. In addition to the early fish from Death Valley National Park, there are remains of Paleozoic fish documented from several other National Park Service areas including: Delaware Water Gap National Recreation Area (New Jersey and Pennsylvania), Grand Canyon National Park (Arizona), Guadalupe Mountains National Park (Texas) and Yukon-Charley Rivers National Preserve (Alaska). Elliott, D.K., and R.R.Ilyes. 1996. New Early Devonian pteraspidids (Agnatha, Heterostraci) from Death Valley National Monument, southeastern California. Journal of Paleontology, 70 (1):152-161. Elliott, D.K. 2017. The Boothiaspidinae, a new agnathan subfamily (Heterostraci, Cyathaspididae) from the late Silurian and Early Devonian of the western United States and the Canadian Arctic. Journal of Paleontology, 90(6):1212-1224. Hunt, R.K., V.L. Santucci, and J.Kenworthy, 2006. 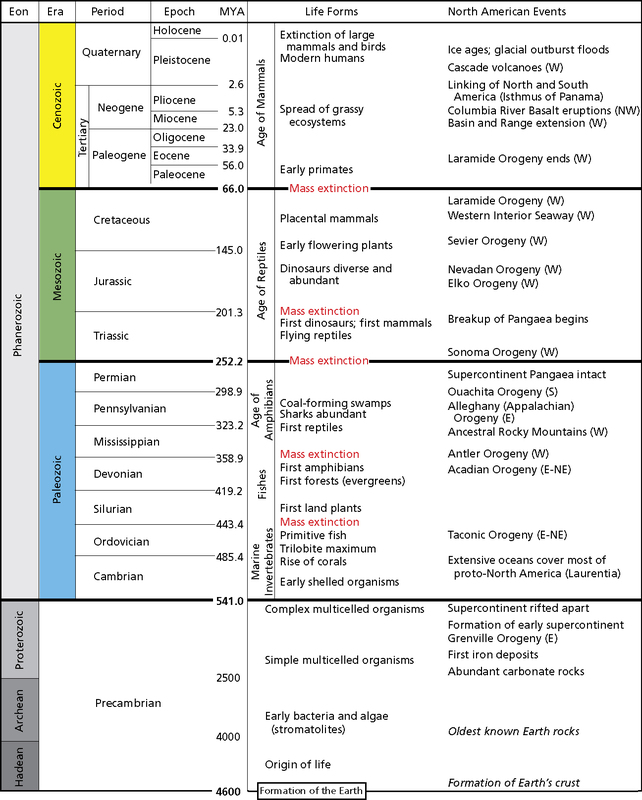 A preliminary inventorty of fossil fish from National Park Service units. in S. G. Lucas, , J. A. Spielmann, P. M. Hester, J. P. Kenworthy, and V. L. Santucci, (editors), America’s Antiquities: 100 Years of Managing Fossils on Federal Lands. Proceedings of the 7th Federal Fossil Conference, New Mexico Museum of Natural History and Science Bulleting No. 34, p. 63-69.